Our staff had the pleasure of attending a reproductive justice advocacy training last week hosted by the Lilith Fund, NARAL Pro-Choice Texas, Texas Freedom Network, Progress Texas and NLIRH RAL TX – “Las Poderosas”. During the two-hour training, we were given the information and tools needed to advocate for paid sick days—a basic workers’ right. 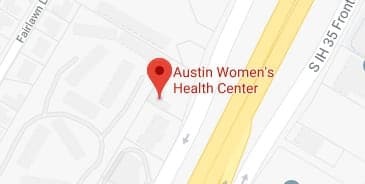 Austin Women’s Health Center is standing alongside our reproductive justice allies to call upon our city council to pass an ordinance that would ensure Austinites have the opportunity to earn and use paid sick days. The absence of paid sick days affects anyone who is employed within any line of work. This ordinance affects several factors, specifically healthcare, primarily those in need of abortion services. Every day we hear concerns from our patients about the difficulties of scheduling their appointments due to the inflexibility of their employers. Many patients share they are unable to miss work, either because they do not have sick time available, or allotted time off that is uncompensated. Termination services are time-sensitive and delaying any given required appointment brings on additional challenges patients must face, or better known as undue burdens. This is one reason why we do our best to be as accommodating as possible for an already restrictive service. Delaying abortion services causes the cost to increase. For example, a medical abortion, also known as the “abortion pill,” tends to be more affordable; however, Texas law states that it cannot be offered after 10 weeks. This creates a time issue when scheduling the appointment, because one or two days can make all the difference between qualifying for this method, and paying more for a traditional surgical abortion. It is not uncommon for someone to wait four to eight weeks before obtaining abortion care due to their budget. It is then that a patient may discover that they are in the second trimester, which would then require a two-day procedure because of the delay. As more time off is required, scheduling becomes more difficult. On top of these obstacles, patients are generally working with severe pregnancy symptoms, like fatigue and nausea. One of the most impactful features of the training was exploring the values-based talking points that can further the Austin Paid Sick Days Campaign. We realized how large of a demographic this ordinance, if passed, would impact. The Work Strong Austin campaign ensures individuals like our patients, and everyone in our community, can have access to the care they need without the risk of decreasing their paycheck, or being fired. If you are someone who is fortunate enough to have paid sick time, think about how devastating not having that privilege would be. What would happen if you or a member of your family became ill? Would you go to work and possibly spread the illness to others? Do you have the financial means to miss a day, or two, and not get compensated? If your child were ill, would your only option be sending them to school and heading to an urgent care center after work? 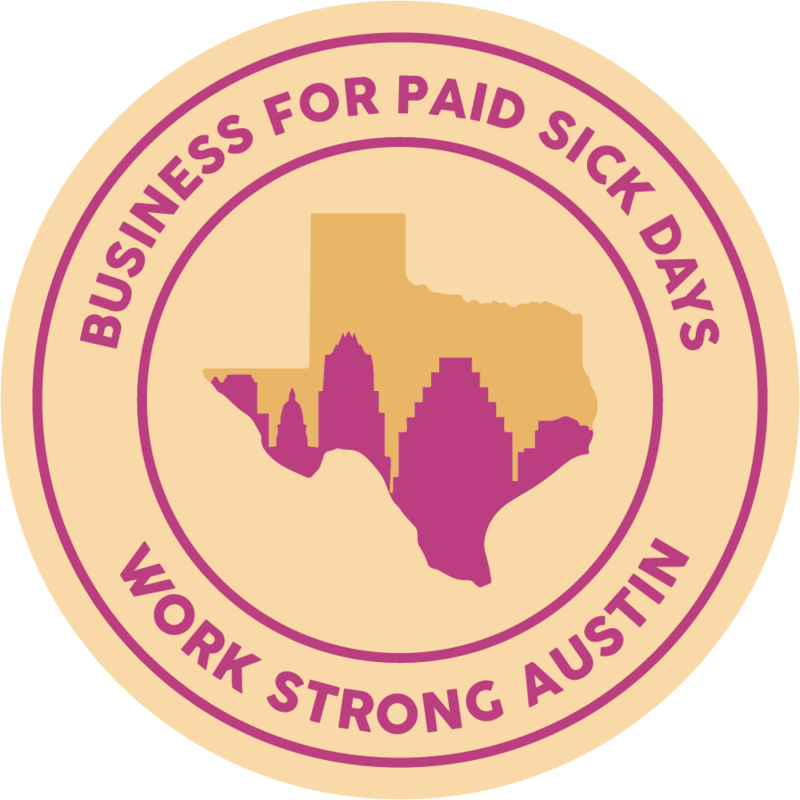 At the most basic level, it is clear that paid sick days are a right and a standard all Austin businesses should comply with. 1. Visit Work Strong Austin to sign their online petition. You can also send a message to your city council member (or even the mayor) through the Work Strong Austin site and do your part to ensure your voice is being heard. 2. Use this digital toolkit to spread the word on Facebook, Instagram or Twitter. Tag your city council member and remind them to support this ordinance. 3. Show up for the rally and final vote on paid sick days on February 15th. Thank you to the reproductive justice leaders who put together this training and for inviting us to participate in such a worthy cause. The staff & patients of Austin Women’s Health Center appreciate all of the time and energy that has been invested in guaranteeing paid sick days for all Austin workers.